Democratic Republic of Congo is most known for keeping the rare endanger primates (Mountain gorillas) which are very rare all over the entire world and can only be found in three countries with Congo being inclusive and they are only found in Virunga National Park. Other countries inhabiting these endangered primates include Uganda (Bwindi Impenetrable Forest National Park and Mgahinga Gorilla National Park) and Volcanoes National Park in Rwanda being the only three countries protecting the rare endangered Mountain gorillas all over the entire world. However, gorilla permits in these three countries cost differently due to different Parks governance. Gorilla permit in Democratic Republic of Congo costs US$ 400, Uganda costs US$ 600 and in Rwanda it costs US$ 1500. Therefore, gorilla trekking tours in Democratic Republic of Congo is however quite cheaper than that of Uganda and Rwanda and despite being cheap and affordable a Congo gorilla permit is further reduced 50% of its usual cost during certain months of low seasons. Congo’s gorilla permit costs US$ 400 far cheaper than that of Rwanda which costs US$ 1500 and that of Uganda which costs US$ 600. 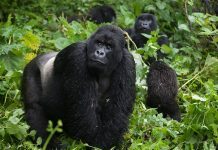 Still in some months of April to May and in mid-October to mid-November, Congo’s gorilla permit is reduced from US$ 400 to US$ 200 since during this season it tends to rain heavily and the greatest number of trekkers tend to reduce during that season thus providing an offer for those who face this tough season. In Congo’s gorilla protecting Park (Virunga National Park), a number of over 200 gorilla individuals are found in the Park and at a discounted gorilla permit you would have purchased, you will be able to view these endangered primates in Democratic Republic of Congo. 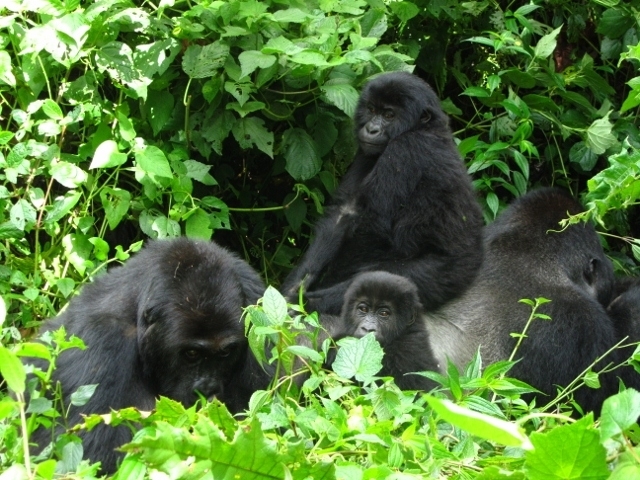 The Park has 6 habituated gorilla families which are common tracked from the Bukima sector of the Park. 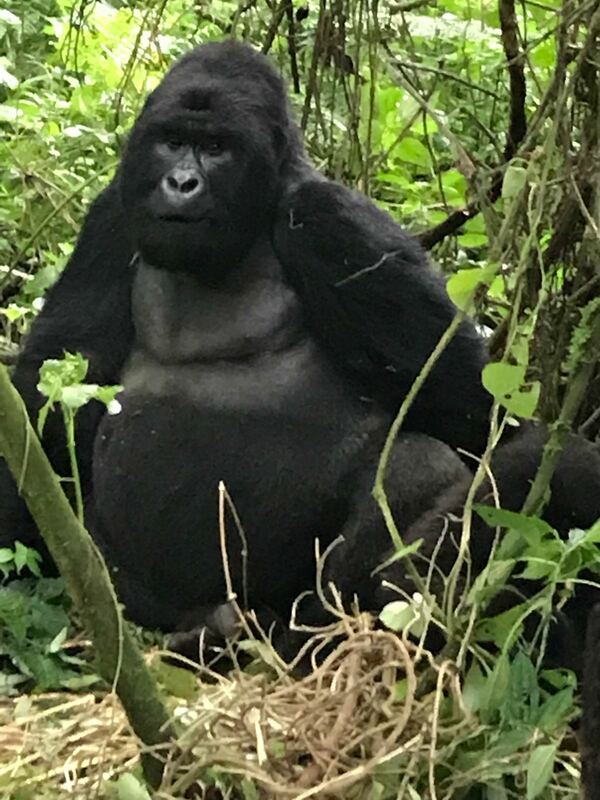 A discounted gorilla permit for Congo’s gorilla tours is purchased for you by the best East African tour companies which are very many in Rwanda and Uganda compared to the few ones in Congo. Some of the best tour Companies all over East Africa include; the Nature Adventure Africa Safari Limited, Eco Tours Rwanda of which the companies will do all your gorilla safari bookings including providing you with a vehicle of your own wish plus airport transfers and hotel reservation. Gorilla tracking in Virunga National Park starts at the Park’s starting point called Bukima and the tracking starts at 08:30am where a group of 8 individuals will be allowed to go for the tracking. Therefore, after buying your discounted gorilla permit for a gorilla tour in Virunga, you are reminded to carry the gorilla trekking gadgets to help you through your tour and some of the trekking gadgets you should pack include; good gloves, dry and light hiking boots, rain coats, good cameras, long sleeved clothes, huts, sun glasses and many more. Flash light cameras are not encouraged to use while taking photos of the gorilla therefore take note of that too. Many tourists move from various countries of the globe rushing to go to Democratic Republic of Congo for gorilla tours since there are not many places in the world where the mountain gorillas may be found thus due to this, you are emphasized to book for your gorilla tour in Congo at least earlier such that you tour may be planned accordingly and to prevent inconveniences in your tour because failure to book earlier, you may find when the gorilla tickets are being bought by other clients thus delaying your tour. Therefore, advance booking is very essential whenever you are to have a gorilla tour in Virunga National Park and other Parks as well. As you are going for a discounted gorilla safari in Congo, expect to see other creatures in the Park such as elephants, chimpanzees, Okapis, warthogs, giraffes, buffaloes, low-land gorillas and a variety of bird species thereby you are reminded to move with a pair of binoculars too. Therefore, for a discounted gorilla tour in Democratic Republic of Congo you are encouraged to mark the dates of April to May and mid October to mid-November because it is when the gorilla permit is given on a discounted price of 50% discount and the only months for Congo’s permit to cost less than US$ 400 throughout the year.